This thought has been bubbling away with me for a while, so I'll try and express it here, but it may be patchy (yes, yes, no change there). The financial crisis and rising tuition fees (particularly in the UK, and Europe will probably follow given the state of their economies) has placed a number of pressures on higher education. One of the outcomes is that greater accountability and transparency is demanded. That's only to expected and is reasonable - if students are paying high fees which pay academics salaries then we need to demonstrate that those academics are engaged in meaningful work. And as employers struggle with less money, they will place more demands on their staff, so will ask them to account for their time to a much finer level of detail. Many people outside of higher ed will shake their heads and think 'we've all had to do that for years anyway.' I have some sympathy with this view, academics have often had a cushy life and hidden behind vague work related tasks with little connection to outputs. Reading around your subject area - academics will read journal papers, books, blogs etc as part of their everyday practice, just to stay current in their field. This may not have a direct, or immediate link to teaching (ie you are not researching something in order to teach on a specific course) or be related to a specific research project. It's just part of what you do. Peer review - I often get asked to review papers for journals. If they meet my open access test, then I usually say yes. But there is no direct return on this. Experimentation - in the field of educational technology in particular (but also in other disciplines I suspect), experimenting is essential. The key to this is that you don't know if it will be successful or what it will lead to. You trust your academic instincts that it's an interesting thing to do. Much of playing with new technology would come under this. So when I've played around with MOOCs for instance, giving talks or running a small one with George. A few years later, I'm now being asked to contribute to a strategic appraisal of MOOCs for the university. But I couldn't have predicted this, or stated it as an outcome. Giving presentations - on an almost weekly basis I get asked to give a presentation, usually at another university for a staff development day. I decline most of these because I am running a big internal project at the OU and have a number of other roles, so I'm nearly always in meetings. And even if I wasn't, I believe that I should prioritise doing work for the place that pays my wages. In order to do these talks now I have to take leave, and without wishing to sound mercenary, if I'm going to spend a day giving a talk instead of with my family, I'll only do that if I get paid. Many such staff development days don't have a budget, and operate on reciprocal good will. Are these kinds of tasks the unseen glue that binds scholarly activity together? So, if we lose, or at least drastically reduce, them does it fundamentally undermine the whole practice, or will we just find other ways of achieving them (for instance giving a talk remotely is a lot more efficient than travelling to the venue). Does it demonstrate that they are tasks which should have an associated cost, and we've just been hiding that hitherto? If we value the tasks then maybe we should attach a cost to them, then we can properly account for that time. Or are they such nebulous tasks that this wouldn't work and we need to trust academics to spend a degree of their time doing 'scholarship type stuff'. Many universities do have an allocation of staff time that covers most of the above, and is labelled something like 'personal research time'. But I think we'll see more of a squeeze on that time and a greater demand for identifiable outcomes from it. 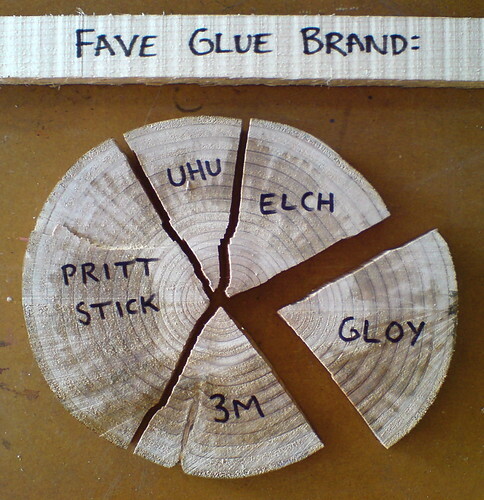 So I guess we'll find out how important this glue really is. Another interesting post Martin. I was thinking about similar things the other day after making some notes from your chapter about Pedagogy of Abundance and picking up a nice talk by Seely Brown on YouTube who referenced your ex-VC (whose name I forget) who is now at the Commonwealth of Learning (sorry - just making a sidepoint there about links and how they fan out! ), anyway he talked about how there is an overall and massive shortage - globally - of HE provision; he reckons there are some 30 million potential students who can't get a foothold (rising to 70 million by 2025). Even if we built a University a week, he says, we simply can't meet the demand which is growing all the time. Thus we have to learn to use digital abundance in ways that help us offset the material and physical scarcity of HE. Indeed, try to do it all differently. Your comment here about the pressure on academic time is another aspect of these material shortages and scarcities. It's odd isn't it - one one hand increasing scarcity - on the other increasing but inaccessible abundance. Classic recipe for revolution? PS should we take care not to frame DS as a way to *manage* these shortages but to remove them?